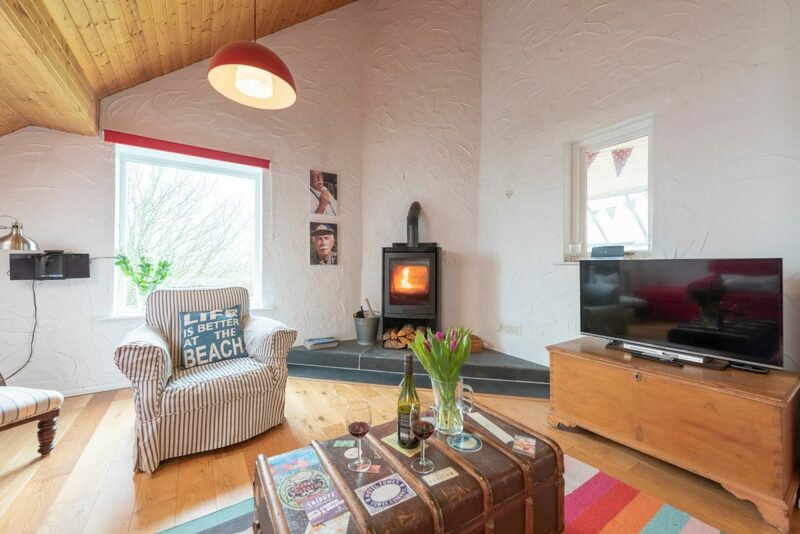 From feeling the warming sun on your shoulders in the suntrap conservatory to watching flames flicker in the woodburner, Coloma keeps you looking on the bright side of life. 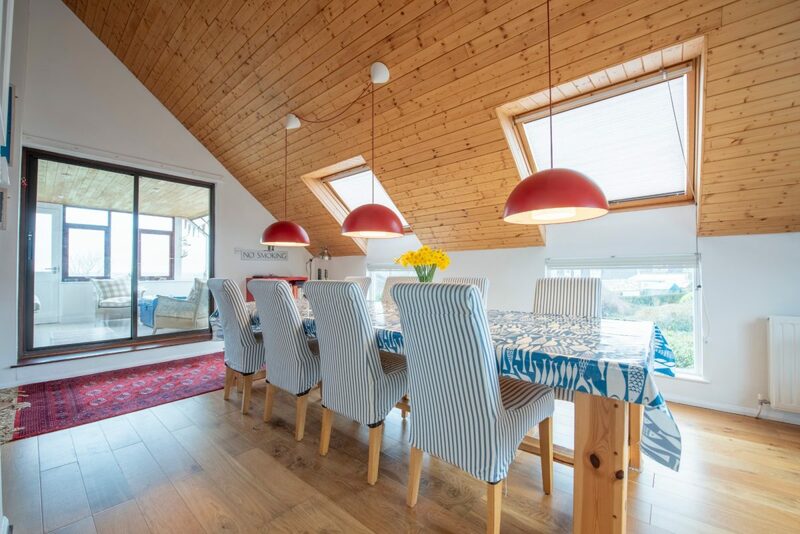 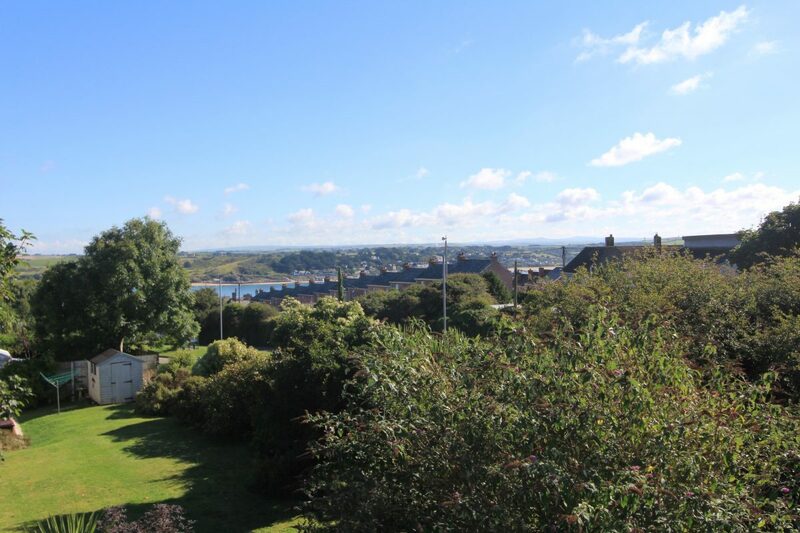 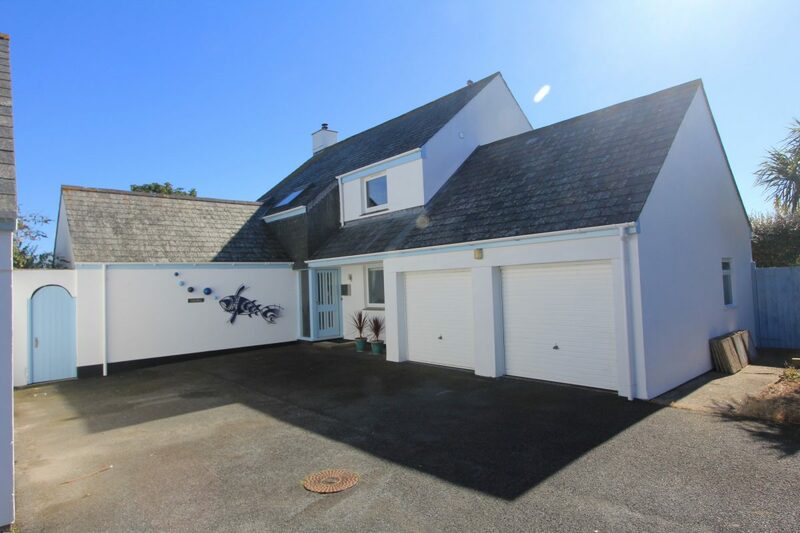 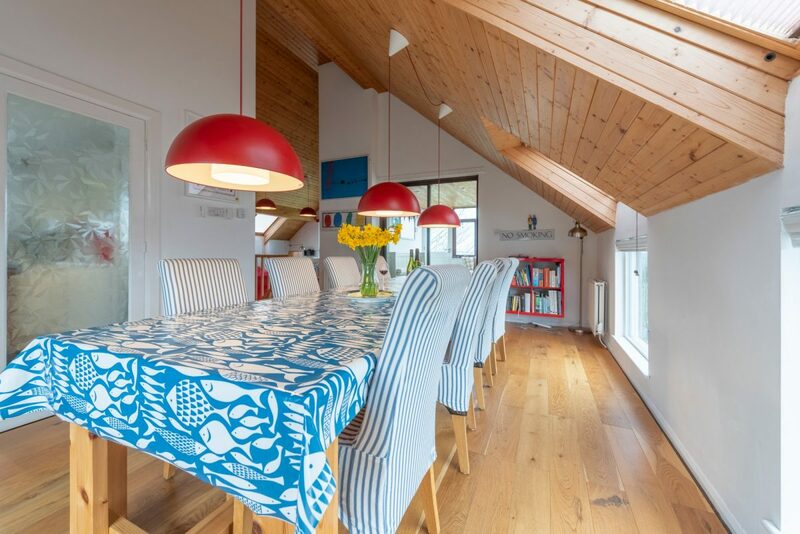 With an upside down design, light-flooded living spaces and a seaside-feel throughout, Coloma is the ideal spot for families looking for a brighter perspective in Padstow. 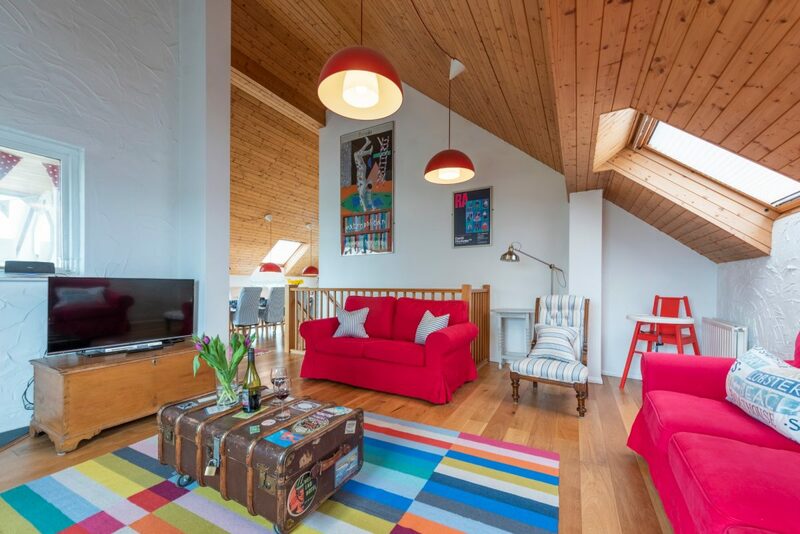 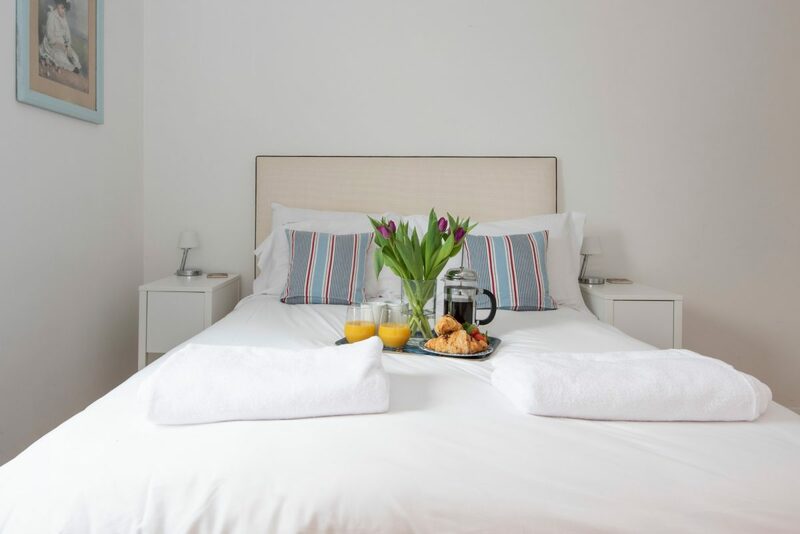 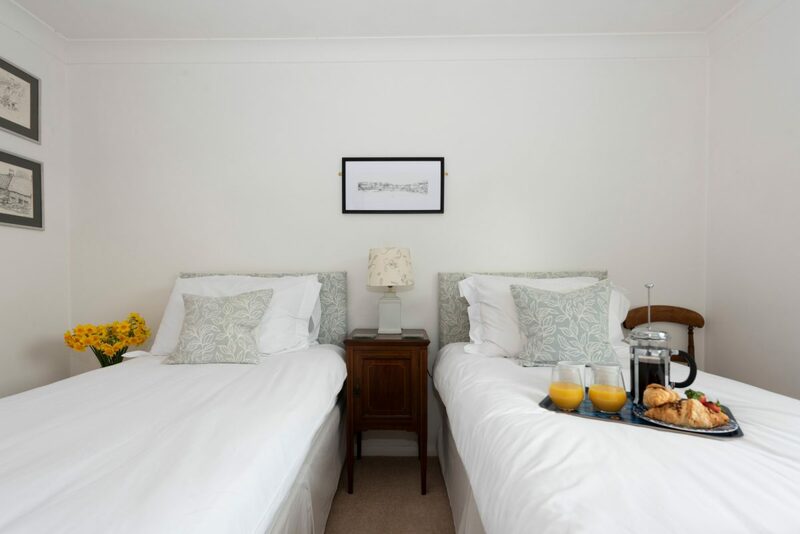 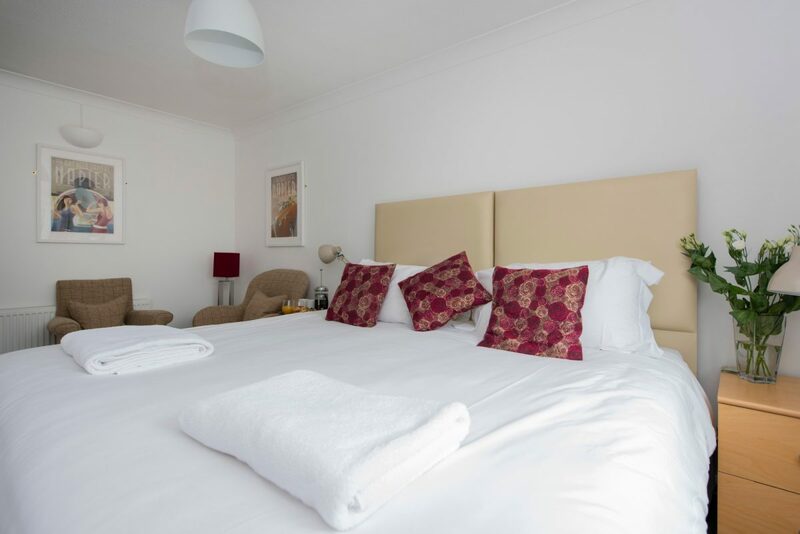 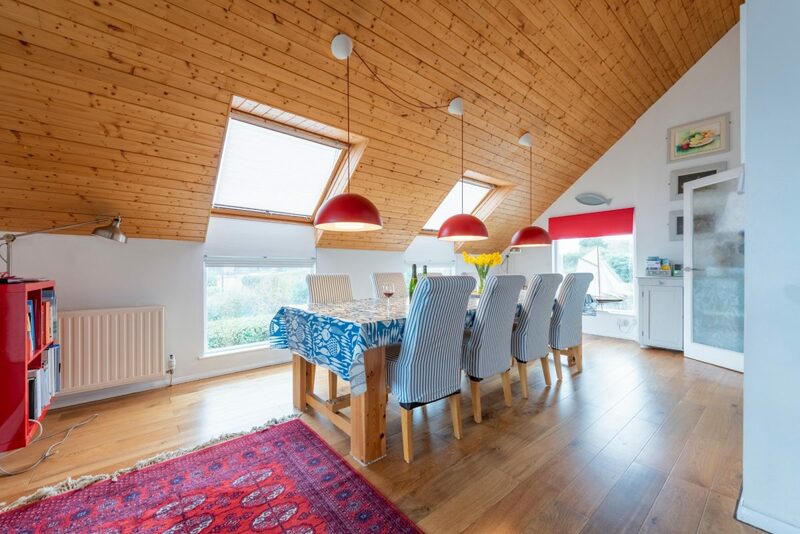 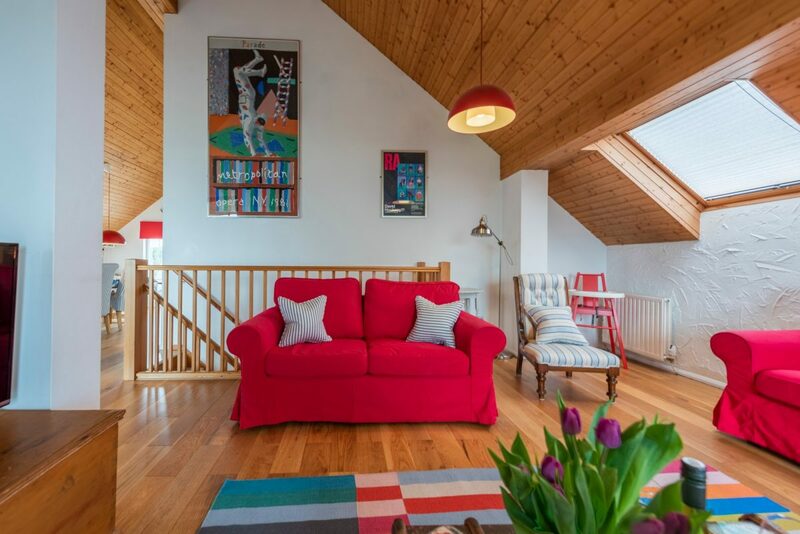 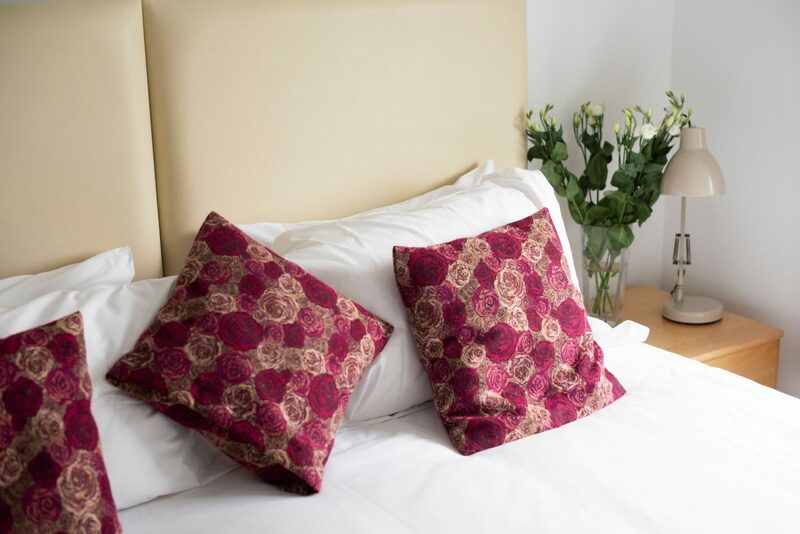 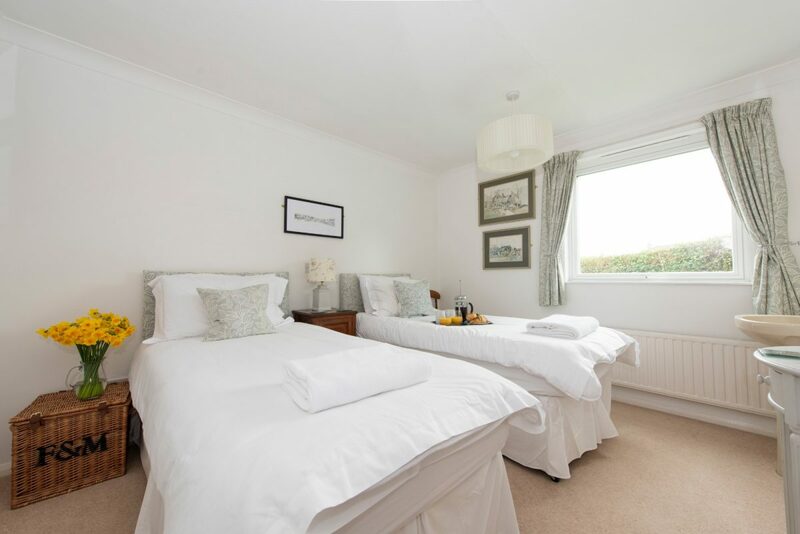 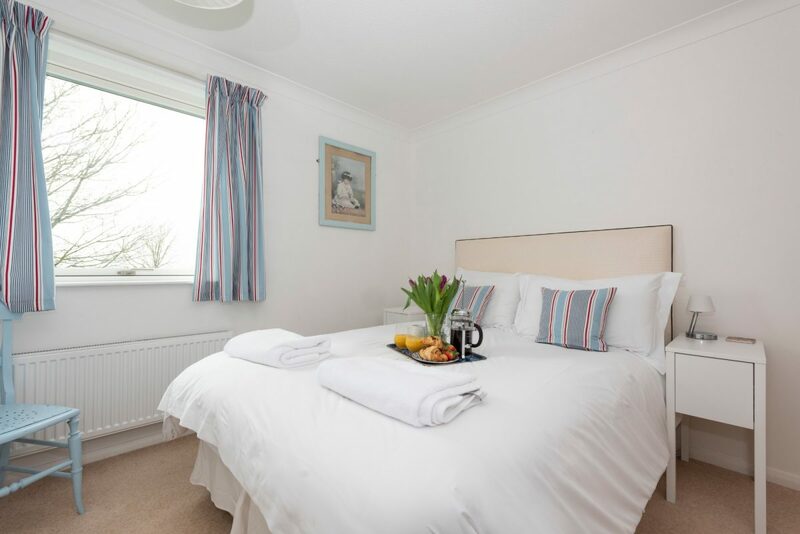 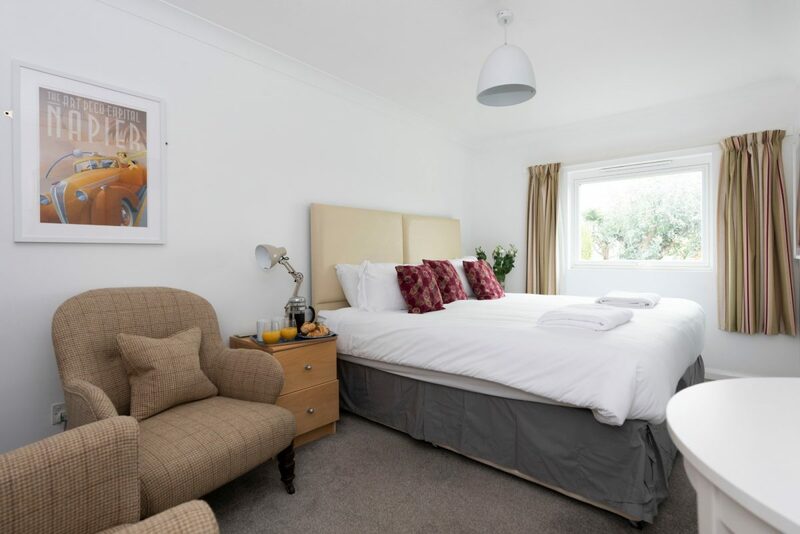 Rise and shine from fresh ground floor bedrooms to the cosy top floor conservatory. 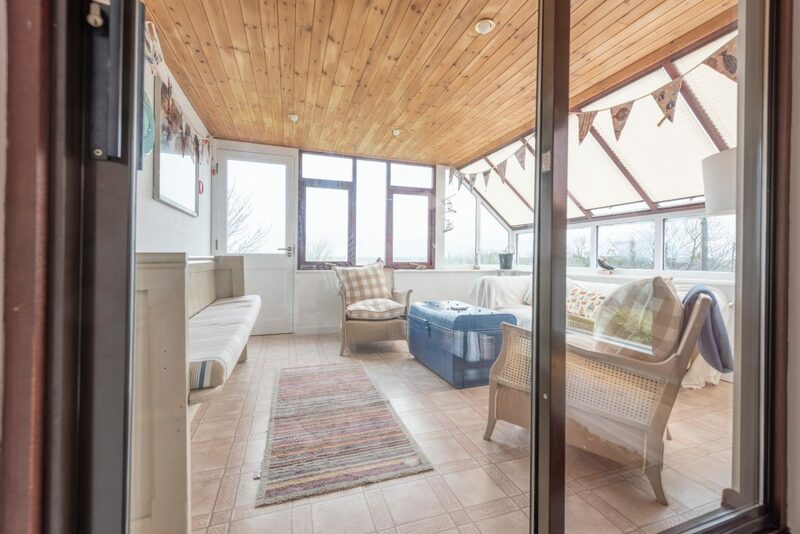 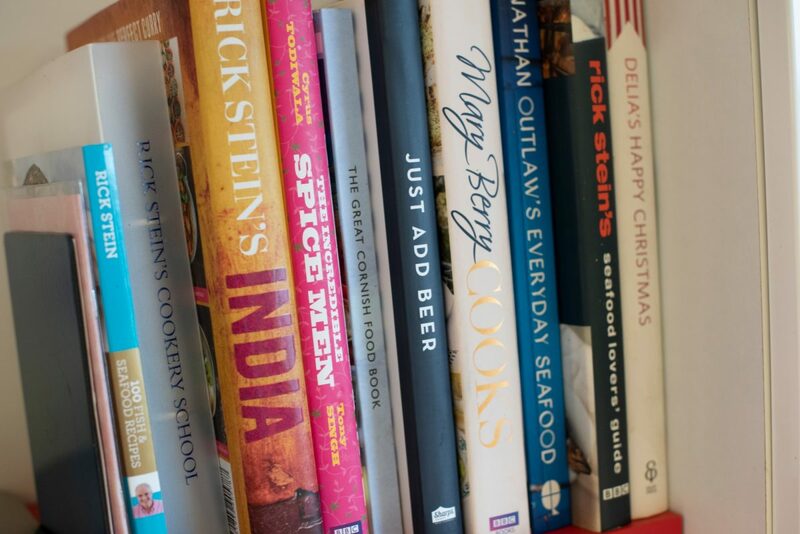 Lie back on the sofa and stare at the sky above, or delve into a good book in the garden. 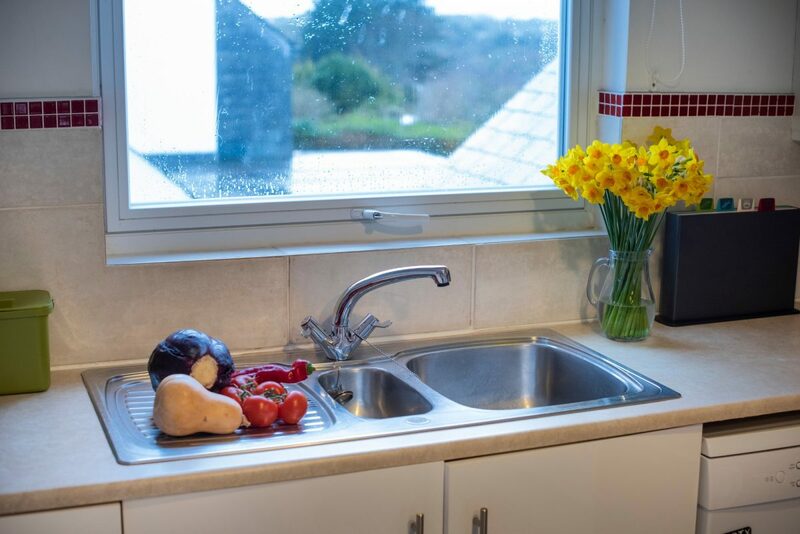 Then venture into town for an afternoon of crabbing by the harbour, before heading home and tucking into a family-sized feast beneath the stars. 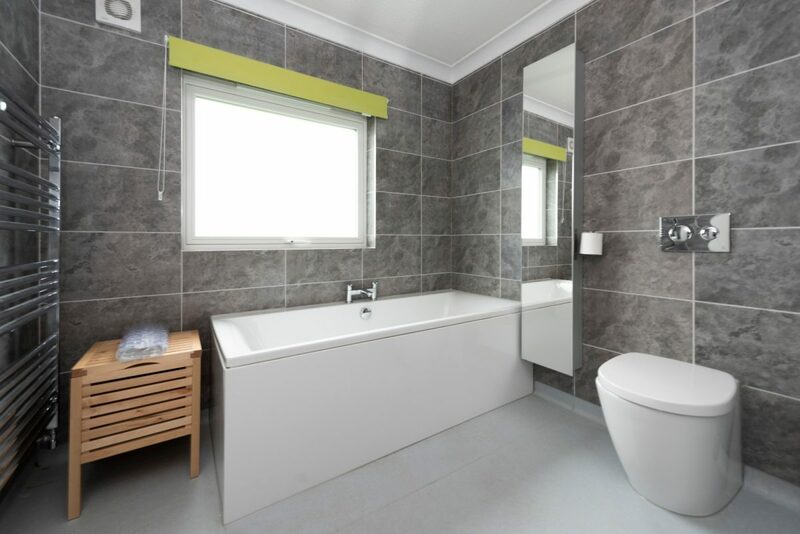 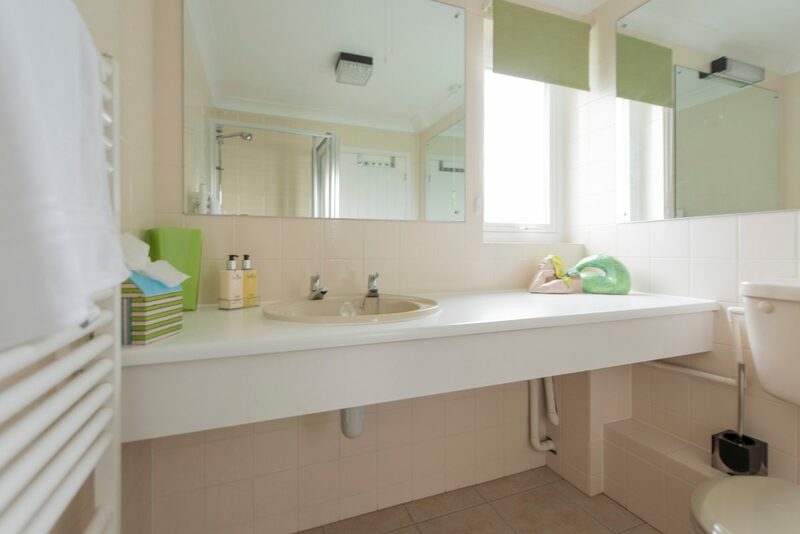 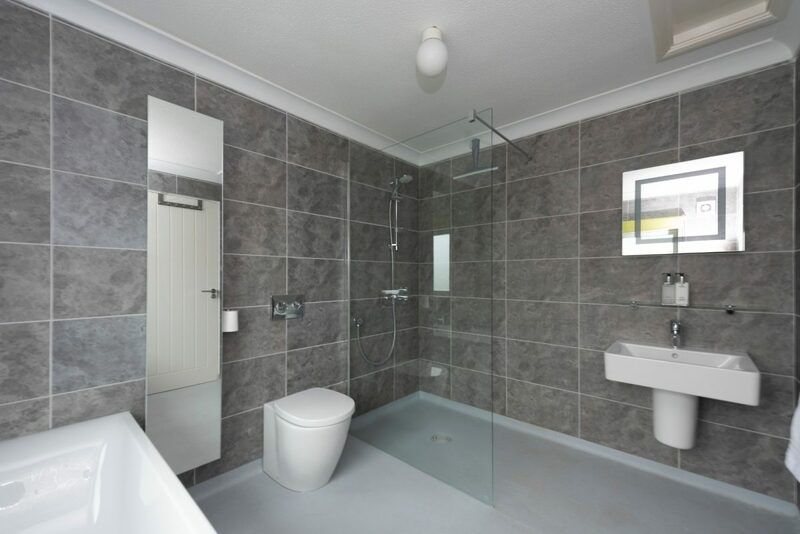 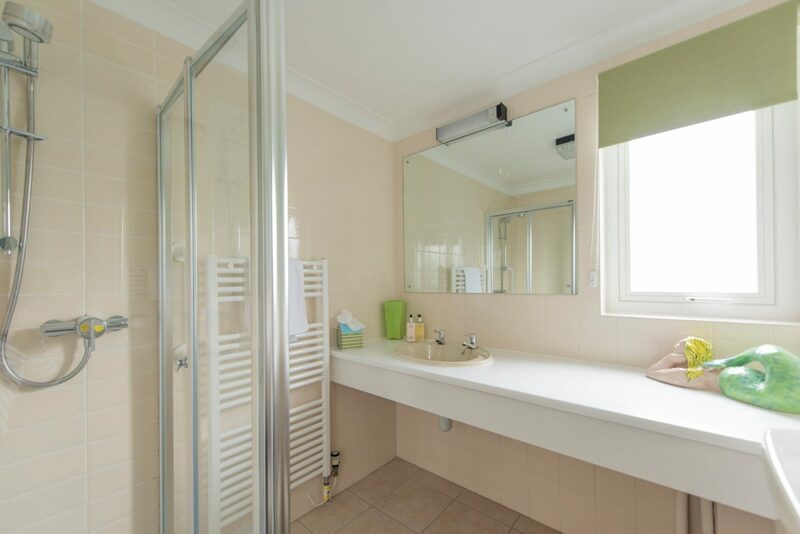 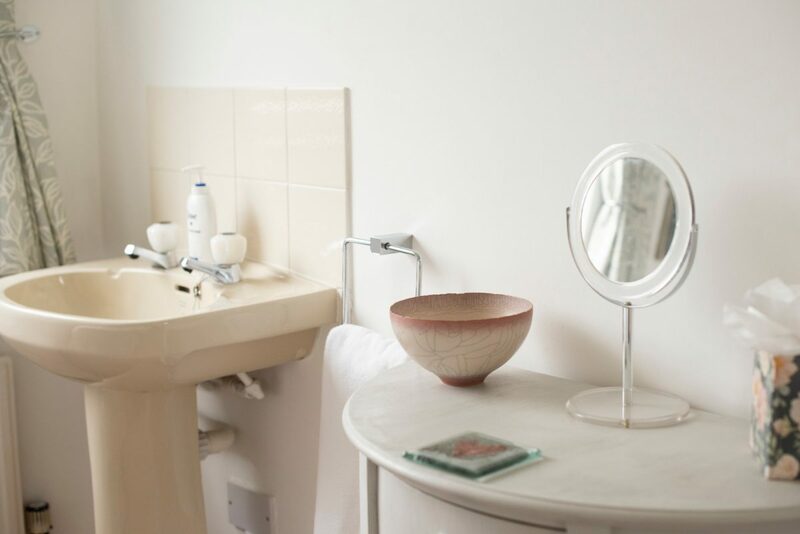 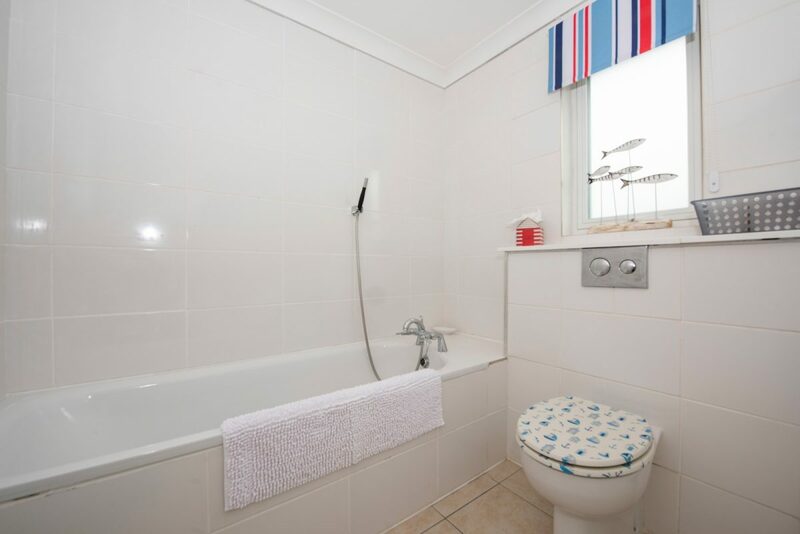 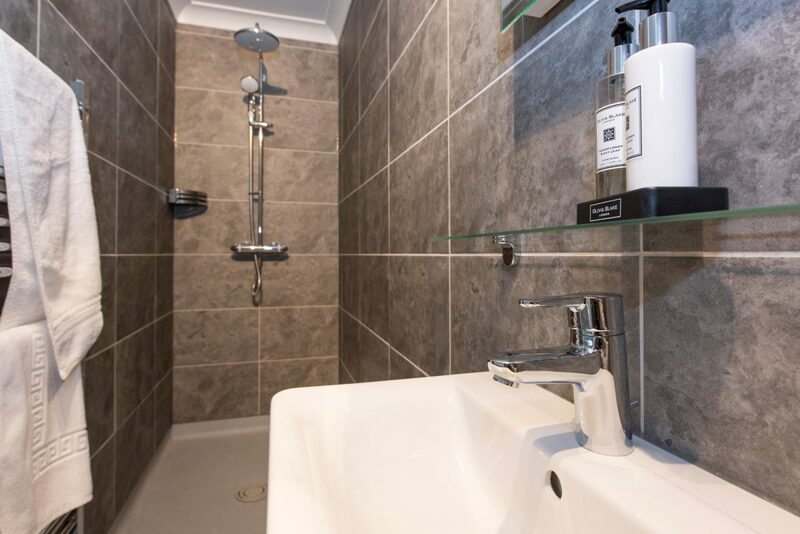 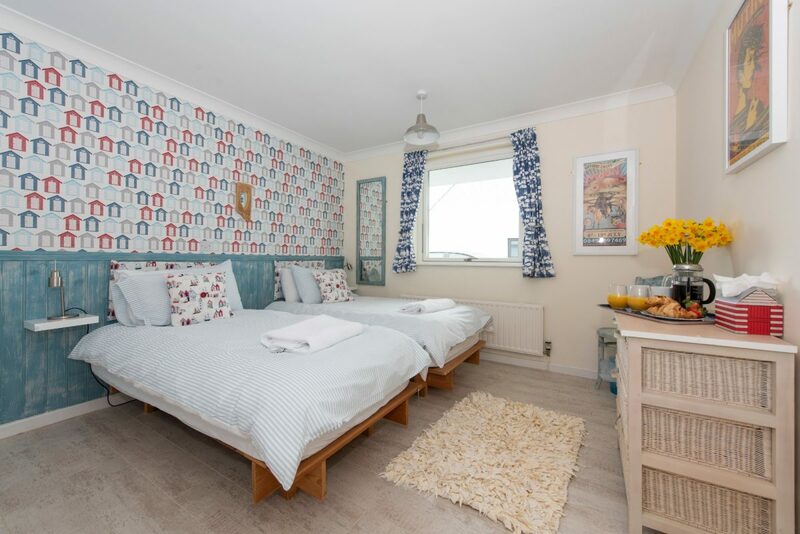 Two double bedrooms, one with en-suite shower, washbasin and WC and one with en-suite bath, washbasin and WC, a twin bedroom with washbasin, a second twin and two family bathrooms, one with bath, washbasin and WC and one with a shower, washbasin and WC. 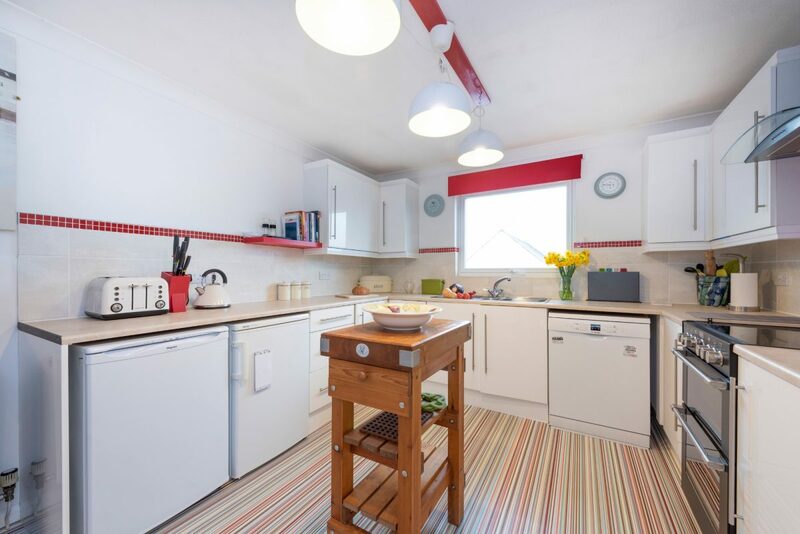 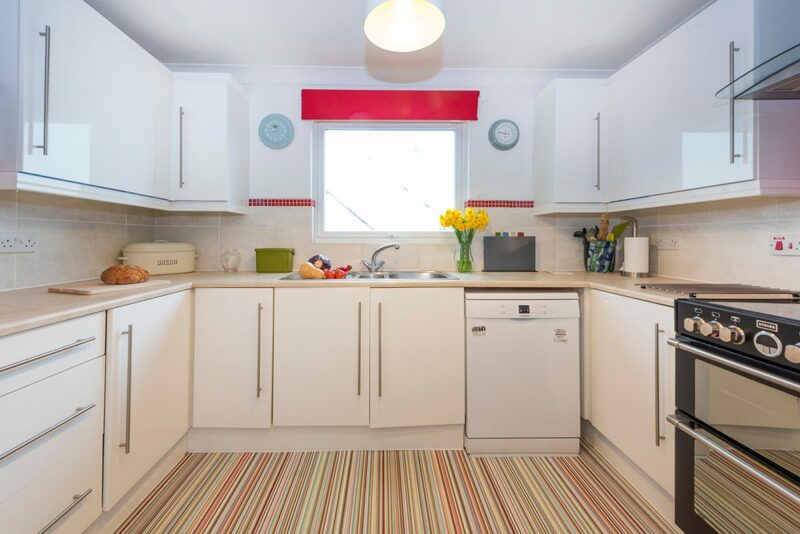 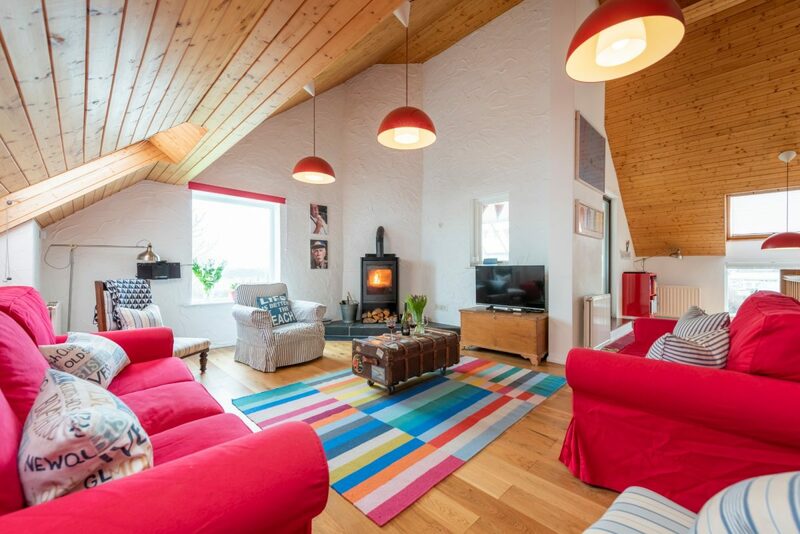 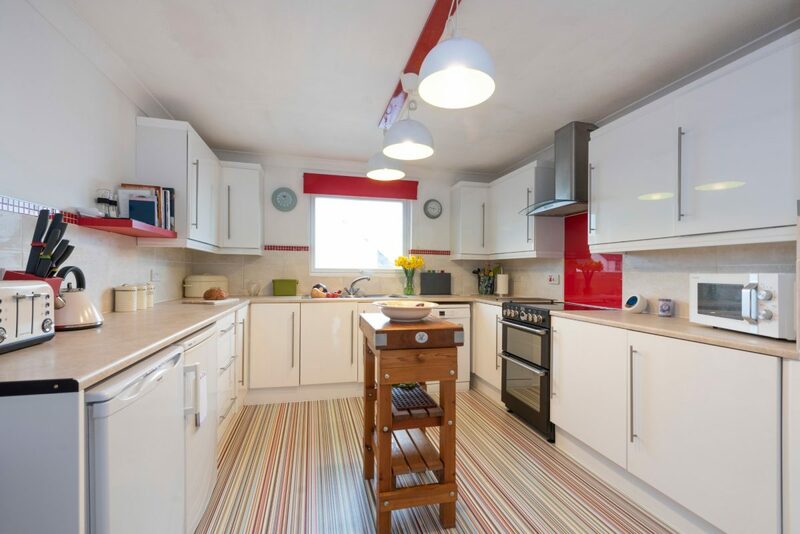 A kitchen with electric oven and hob and a fridge and freezer, a dining area, a living room with flat screen TV, DVD player and a woodburner and a sun room off the dining area. 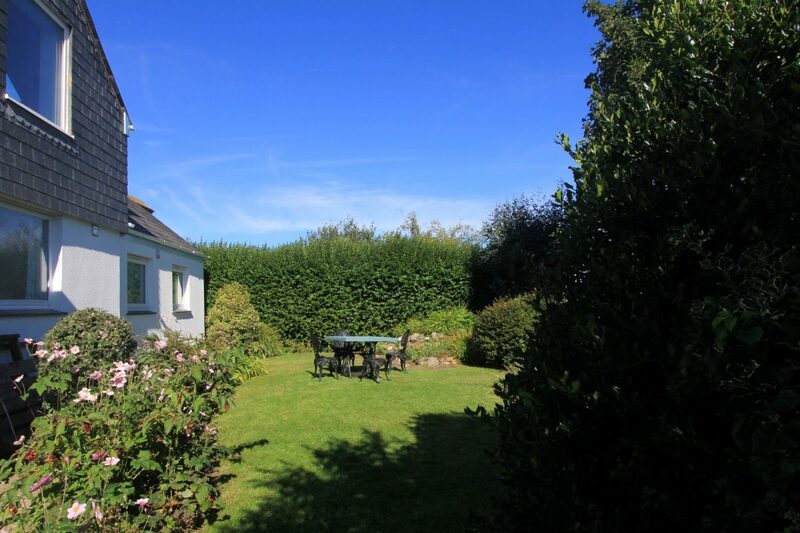 Lawn with table and chairs, ample parking and distant estuary views. 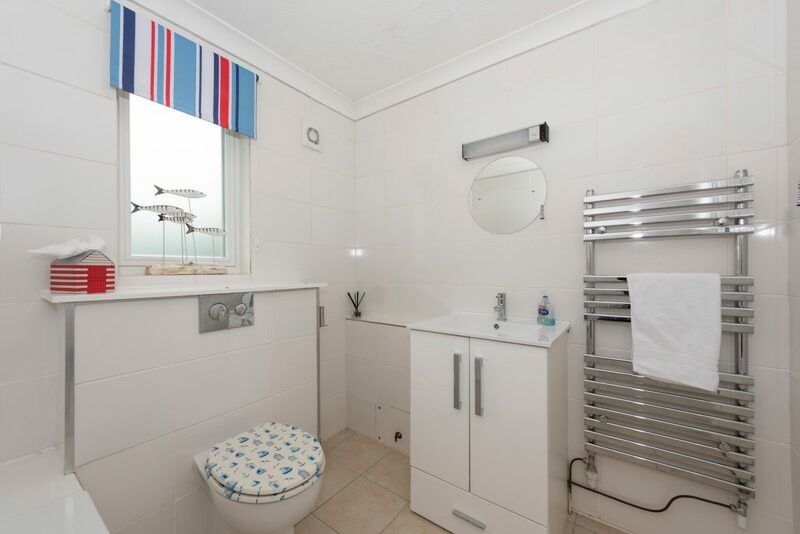 Duck through a rose-trellised doorway and your holiday begins. 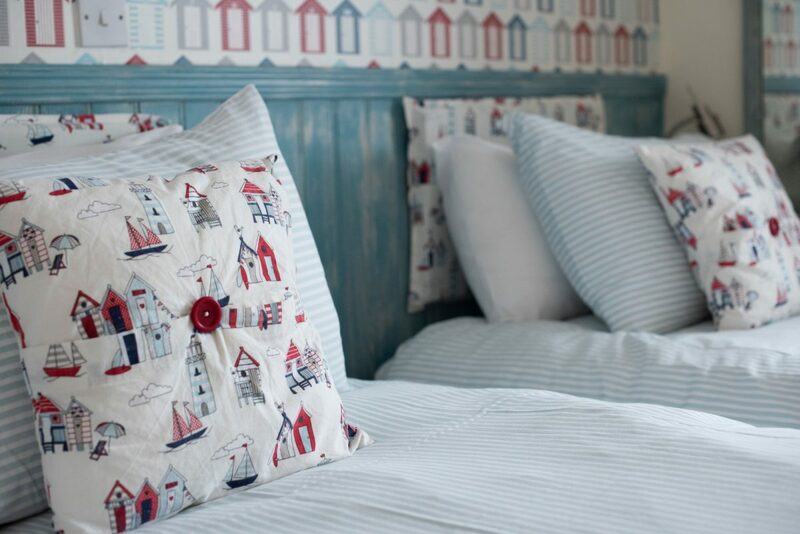 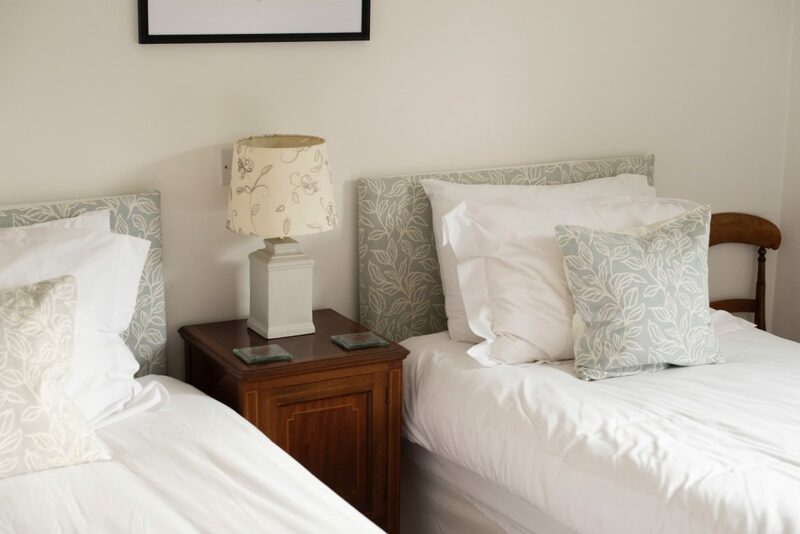 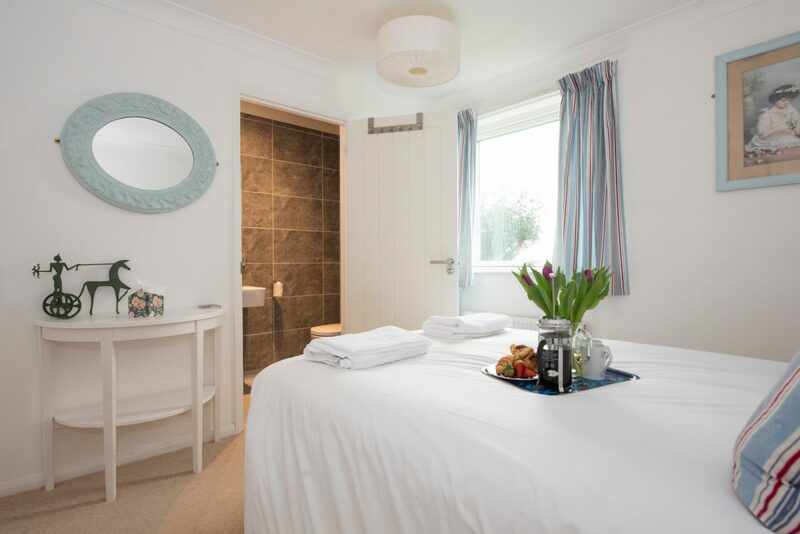 Whether it’s sauntering from beach to home in a matter of moments or feasting on the finest pub grub just over the road, let Bell Cottage give you that sought after sense of coastal village life.